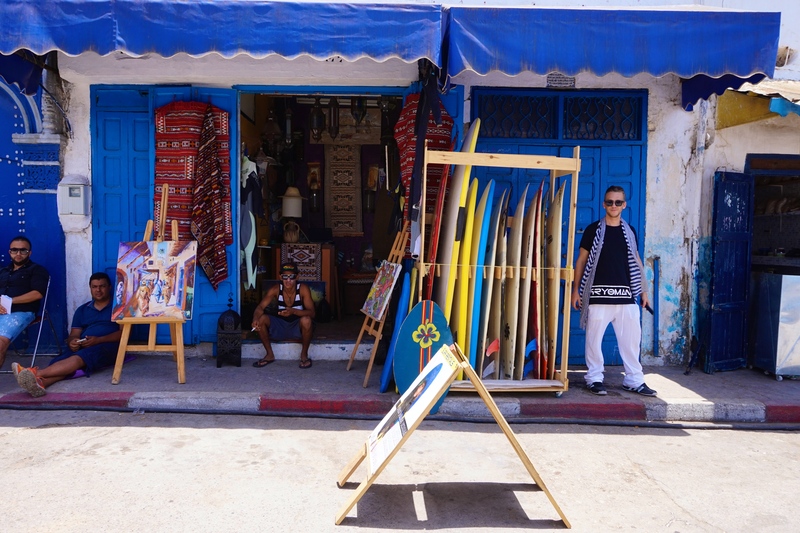 I couldn’t help but being attracted to the color blue while in Morocco. Walking through Rues de la Kasbah des Oudayas (the old town in Rabat) the walls are all covered in blue and I wondered why? Most say it’s to keep away mosquitos or flies, but to find the real reason you will have to go back thousands of years to the myth of the evil eye. Around 1471 Chefchaouen, Morocco became known as a refuge for Jews who were fleeing Europe for fear they would be forced into Christianity. They believed in the evil eye and painted the front of their homes in the color blue which is said to provide general protection. 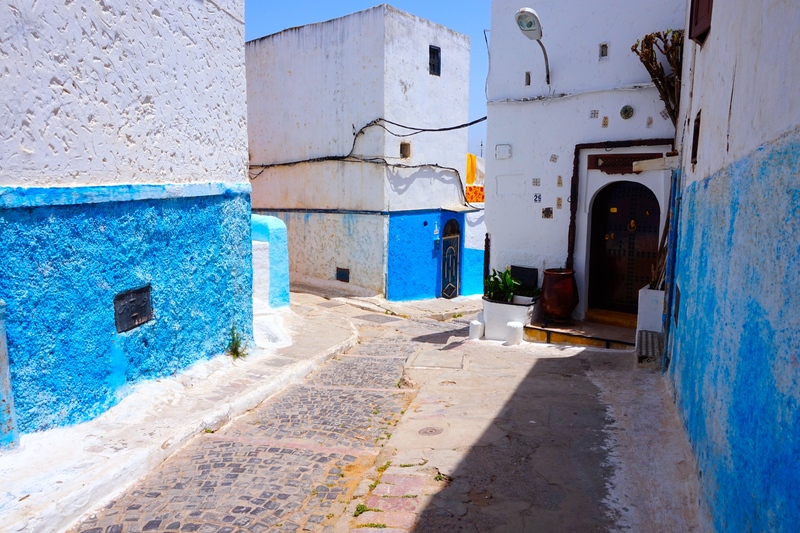 The color quickly spread thought the medina and soon the whole town became blue. The tradition is still kept alive today. Every friday during summer and spring the woman of the town get together and paint the walls of the city in blue. 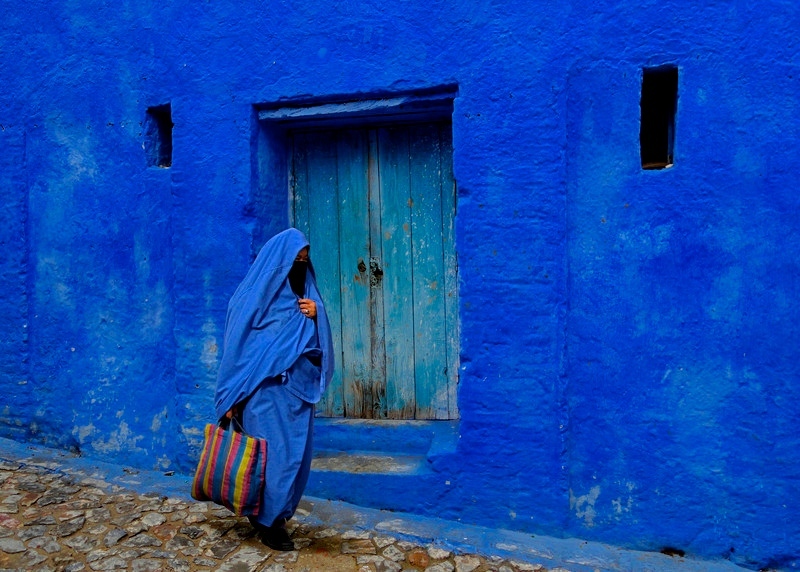 Chefchaouen is Moroccos treasured blue city. 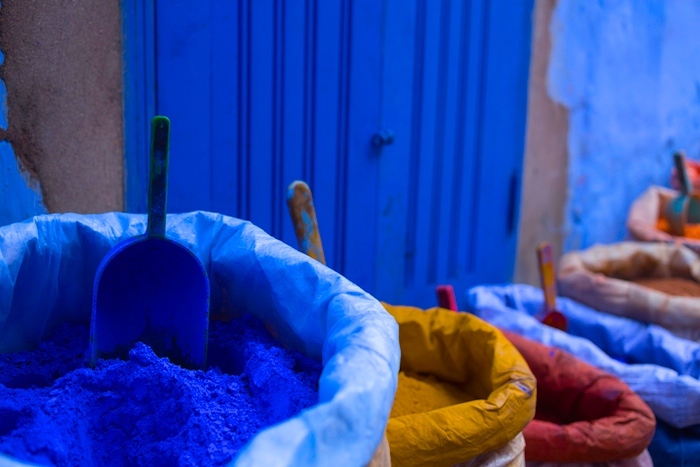 The medina here is slathered from floor to roof in blue paint, but the predominate color is still found throughout the whole country of Morocco.